Taro Minoboshi si specially know for being the person in charge of the design for the characters of Love Plus. Now Taro will launch his first Manga called: Uniform Robin Song (Seifuku Robin Son). An Hervibore is basically a Person who does nothing to get a sentimental partner, even if indeed does wants one. Contrary to a Carnivore, who is the person who chases Girlfriends/Boyfriends and is common to change them constantly. 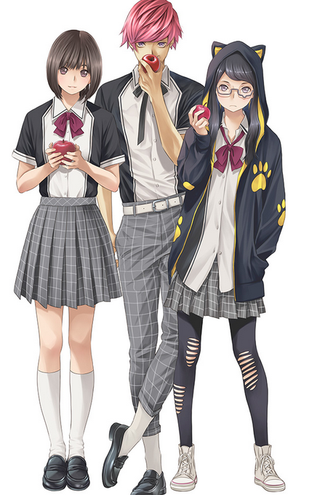 The Manga will launch on September 17. Mino☆Tarō left Konami on March and became a freelancer under the name of Taro Minoboshi.